Tokyo, Japan – Without a doubt, Tokyo remains the top destination for the Pandas. Famous for its pursuit of perfection, there’s hardly any doubt the enduring spirit gets reflected in their food too. Any trip to Tokyo, or Japan, cannot be complete for the Pandas without a sitting at each of the restaurants specialising in Ramen, Sukiyaki, Tonkotsu, Sashimi, and Tempura, amongst others. In between our meals, a visit to the cafes of Tokyo completes the day, and we were surprised by just how many cafes we have visited in Tokyo since – and we decided it’s time to note them all down in this article. Say your thanks later, now let’s sip a Latte as we walk you through them all. P.S. While writing this, we realised we have compiled such an exhaustive list of cafes in Tokyo, we decided it may be best to split it into a series. Here’s our first part, covering our favourite districts in Tokyo, Shibuya, Harajuku and Omotesando. Located at the exact site of the popular cult cafe, Omotesando Koffee, Cafe Mameya is backed by the same folks but much has changed. The cafe now focus purely on serving up just espresso and black coffee (both hot and iced), and customers can pick from a list of up to 25 beans – with differing taste to satisfy the palates of all coffee lovers. If you are worried, Cafe Mameya remains as instagram-friendly as ever; and yes, they still do not provide any seats for you to sip on your coffee, expect take-away cups only. Not the latest cafe in town per se, but just steps from Cafe Mameya and a policy of ensuring each customer makes a minimum order of one drink each. Lattest gives you the Indie vibe with its bare industrial look and non-challant service attitude. A great cafe to take a chill from the hustle and buzz of the Omotesando district. Located just opposite of Lattest, Bread, Espresso & does fresh bakes everyday, and opens early to welcome the breakfast crowd. Their Croque Monsieur is lovely, and if you are not in the mood to queue for a seat indoor, just grab the items and chill by the outdoor bar table. 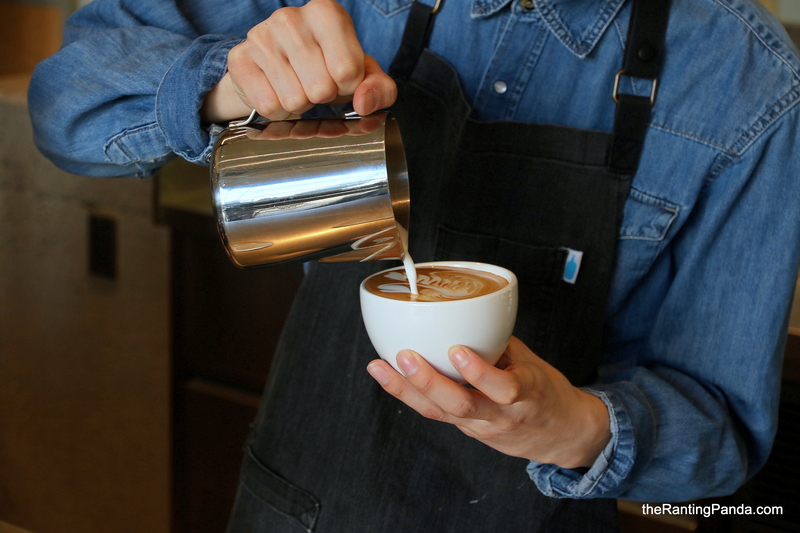 This San Francisco cult coffee chain has been expanding rather rapidly in Tokyo. With the opening of their first branch in Ometosando in 2015, their latest flagship at Nakameguro is a must go if you have been following them. Occupying an entire building, the cafe only seats 10, while keeping to the usual Blue Bottle minimalist look. For better accessibility, Blue Bottle has another branch right outside the busy Shinjuku Station. We checked out Onibus Coffee at Nakameguro, one of the brand’s main coffee roaster location in the city. This is the perfect location if you fancy some quiet moments to sip your coffee. It is near a small park off from the main tourists area, and you can’t miss the 2-storeys mini house space of Onibus Coffee. A wide variety of coffee options are available, from single origin filter coffee to your regular espresso or latte, the space is chill-lax be it the casual outdoor seats or the space at level 2 where you can watch the trains go by. Located right beside Blue Bottle Coffee in Omotesando, Shozo is typical of a Japanese coffee house. The small and wooden theme outlook adds to its quaint vibe, but it’s a slight pity that the space is too small for comfort to sit down for long. Limited seats available and I will recommend a takeaway instead. Been a long standing cafe at the back alley of Ometosando, you might have stopped by this cafe during one of your shopping trips in Tokyo. All decked out with wooden furniture finishings, they were roasting their own beans when we last visited. One of the few cafes in town that does not allow you to take photos in the interior of the cafe, and making sure everyone places an order each. Having said that, this is perhaps one of the most beautiful cafes around, with a small inviting garden as its entrance, decked out with bar tables. Designed with wooden features, Cafe Kitsune reminds you of a more commercialised Cafe Mameya. Opened since June 2016, Dominique Ansel Bakery is somewhat synomymous with cronut, made popular by this New York City-based baker back home. Croissant and donut combined, you get the idea. The omotesando outlet is very popular, but queues move fast especially if you just want a takeaway. Cronuts aside, the Dominique’s Kouign Amann (DKA) and S’mores are the other two showstoppers. Located at the far north end of Shibuya, at the borders of Yoyogi Park, Fuglen Tokyo has developed a cult following with its all-day offerings – the cafe turns into a bar when the sun sets, and offers a great chill-out spot from the ever-busy Shibuya. Fuglen has another outlet at Shibuya, minutes walk from Omotesando, the Fuglen Coffee Roasters. Its main branch is at Ebisu, with other outlets in the city, including Beams Shinjuku. Being endorsed by one of most popular Japan retail concepts, Beams, has enshrined its position in the coffee scene in Tokyo. Be here for its Matcha Latte, or its seasonal drink. Enjoy your fix in their pretty take-away cup. Short walk away from Shibuya, this two-storey cafe is a quaint cafe with ample seats available on the upper floor. Best spot to catch up with small group of friends, as you stroll the streets between Shibuya and uptown Omotesando. Just a pop-out booth, this coffee stand serves the neighbourhood to the west of Shibuya. Almost perfect for that dainty street shots for your next Instagram post, or you can sip on your Black Coffee while watching the world rush by you. A cycling retail space and coffee? Ratio &C is a space near Omotesando which connects the cycling community, while providing speciality coffee by Onibus. Other than coffee, there are also selected leather products and accessories if you are in the mood to shop. Otherwise, it is a nice space to enjoy a good cup of coffee and watch the world goes by at the window seats.